Get in your car, get in a taxi, get in a bus... get to Newtown! It’s an entire precinct specially dedicated to cultural activities and the arts, and it’s easily accessible from the M1, and within walking distance of Bree Street Taxi Rank. Newtown offers visitors theatre, art galleries, restaurants, museums, craft markets, buskers, dance and clubs. There’s stuff going on day and night, and especially on weekends. Seek, and you shall find! 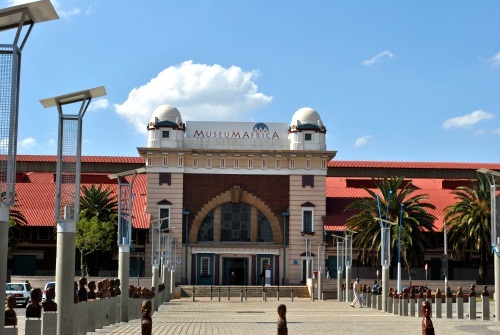 It is home to some of Joburg's biggest events - Joy of Jazz, Diwali Festival, Joburg Carnival, Joburg Arts Alive, SA Fashion Week and the Dance Umbrella, among others. Newtown’s central point, Mary Fitzgerald Square, plays host to a number of local and international performers, events and festivals. Even Madiba has spoken there! Newtown Park - an unexpected splash of green - is perfect for more laid-back arts activities, and it’s a great place to have a picnic and soak up the vibrant atmosphere. The area throbs with history, so keep your eyes peeled for the plaques, museums, and heritage tours.